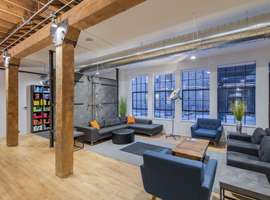 Explore all of the amenities that make Harbach Lofts great – designed with quality in mind. We’ve reimagined the hip urban loft and packed it with features to create a distinctive and relaxing lifestyle. Our lobby will make your friends drool with envy. Comfy seating, huge windows, and free wi-fi make it a go-to place to chill out. Grab a cup of coffee at our in-house café and curl up with a good book or your laptop. The Lounge offers big-screen TV viewing and a kitchen bar. Celebrate with friends or catch a big game. St. Kilda is a full-service Australian-style café & bakery serving breakfast, lunch, and dinner. 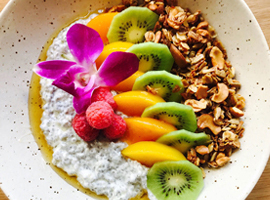 Specializing in healthy modern dishes, fresh-baked pastries and breads, artisanal coffee beverages featuring Counter Culture Coffee, they also offer a full bar serving brunch cocktails, beer, and wine.  Visit St Kilda’s website. Many of our units welcome cats and dogs. Keep your pet clean in our pet washing area. 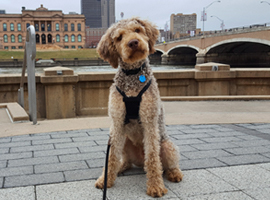 And, your furry friends will love the extensive trail system and green spaces surrounding Harbach Lofts. We have a 2 pet, 45 pound limit per apartment. We embrace your active lifestyle with a state-of-the-art fitness center. We’ve got you covered, whether you prefer your workout on our professional-grade treadmills, spin bikes, or elliptical—each with an independent integrated television with DIRECTV. Lift free weights from 5 to 75 pounds, or do your chin-ups on our fully equipped functional trainer packed with two 200-pound weight stacks. 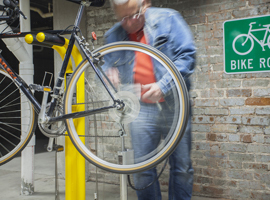 Harbach Lofts provides a complete package of amenities for bicyclists. Whether you’re an avid cyclist or just enjoy an occasional ride to Gray’s Lake, Harbach has you covered. Our Bike Lounges in each building are a bicyclist’s dream. You’ll find a workshop with tuning stands, air pumps, washing stations, benches to change into your cycling shoes, and maps to plan your adventure. Our commitment to bicyclists even includes special bike ramps on the stairs to make rolling your bike a breeze. Most of our apartments are designed with areas to keep your bike close by, but for added convenience secure bike storage hooks and lockers are available in the Bike Lounges. When you’re not out exploring the trails your bike has a home here. Harbach Lofts is literally the hub of the trail system in central Iowa. The trails at our front door are your gateway to adventure. Within minutes you can be gliding along the Des Moines River or cruising down the Ingersoll Avenue entertainment corridor. We didn’t skimp on appliances with top-quality stainless steel stoves, microwaves, dishwashers and refrigerators. And did we mention that most refrigerators have in-the-door water and ice dispensers. Forget about those small apartment size washer dryer combos. 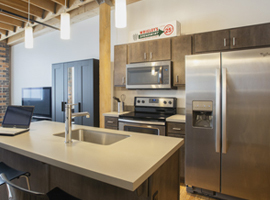 Harbach Lofts includes only full-size washers and dryers. Be the first person to ever live in your loft! You’ll love our open floor plans, high ceilings, and stunning views. Live a vintage lifestyle with our mix of high-end appliances coupled with exposed-brick walls, hardwood, and polished-concrete floors. We’ll warn you now: Live here, and all your friends will want to hang at your place. Chill with friends or cozy up with a great read in our vintage lounge. Enjoy the courtyard, where local artists perform on Friday nights, or host a party and watch the game in our clubhouse.